Elaine Revans at the Caudwell Children is asking athletes to contact her directly and says that the charity is determined to support even greater numbers. 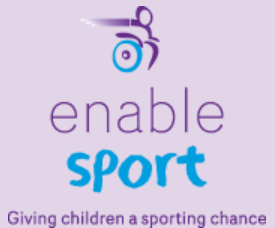 As she concluded: "By 2016 we want to have provided £1 million worth of disability sports equipment, developing talent across a variety of sports. It's a big challenge but it's one we relish and we will continue to give children a sporting chance!" Wooden Spoon help young people through rugby. Funding available: See website for details. Wooden Spoon is a charity dedicated to helping disadvantaged and disabled children and young people (up to 25 years of age) through rugby. 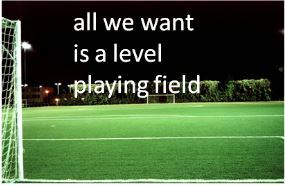 Grant will be considered for a range of costs including for kit and equipment, salaries and administration costs. Grants may be for up to 100% of the costs, however beneficiary organisations are encouraged to raise a proportion of the funding themselves. 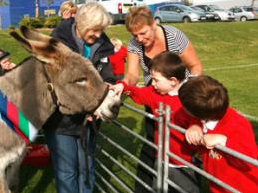 Wooden Spoon can only make grants to organisations such as schools, charities and clubs. The Peter Harrison Fund has already handed out millions of pounds in support. 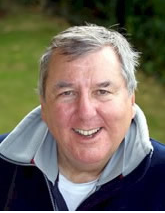 The Richard Overall Trust backs a variety of projects. 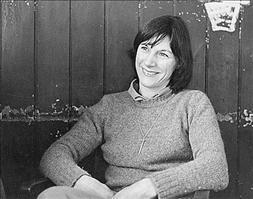 The Julie Tullis Memorial Award supports those with mountaineering ambitions. The Julie Tullis Memorial Award is a small grant to assist female mountaineers or any disabled climbers or mountaineers, both male and female, to achieve their climbing or mountaineering ambitions. Cyclists Fighting Cancer encourages exercise. Funding available: Bikes / trikes usually with a value of up to £600. 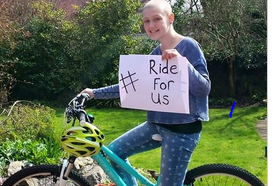 Cyclists Fighting Cancer is to primarily encourage exercise and activity for the child surviving cancer, therefore they ask that the bikes are appropriate to their age and intended use. Bikes are available to children and young people who have been diagnosed with any cancer up to and including the age of 18. This can include their siblings (18 and under), while parents can also apply in certain circumstances. In all cases it needs to be shown that provision of additional cycles will encourage the applicant to use their cycle more. The bike awards are made through their preferred suppliers Dawes Cycles and Frog Bikes. Contact them before applying if you need a specially adapted bike or trike. Bikes are usually provided within six to eight weeks. Click here for full details. The initial project was to find a way to adapt a motorcycle for a rider who had suffered the amputation of his lower left leg in an accident. A fund raising party was organised and publicised locally and this prompted several other disabled people to contact the group asking whether it was possible for them also to ride specially adapted motorcycles. 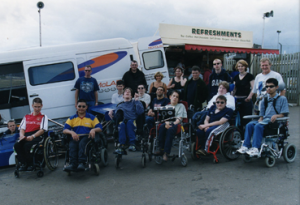 Within 12 months the NABD had just over 100 members and had helped three disabled people to adapt motorcycles and ride them independently. In those early days each adaptation had to be designed from scratch, and many engineering problems had to be solved. From this humble beginning the NABD was soon to become the world leader in the field of motorcycling for people with disabilities. The membership of the NABD has now grown to a staggering 9,000+ individual members with the support an ever-growing number of affiliated clubs and businesses. Since its inception, the NABD has directly helped over eleven thousand disabled people to enjoy the freedom and independence of motorcycling. 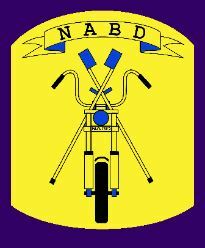 The NABD operates a system of financial grants to help with the cost of special adaptation work to motorcycles, scooters, motorcycle/sidecar combinations and trikes; necessary to suit the needs of disabled riders. These grants range from £250.00 to £2,000.00, dependent on the type of machine and the particular requirements of the rider. Grants are awarded on a case by case basis by the management committee of the charity. More often than not, these grants are paid directly to the engineers who have been commissioned by the grant applicant to carry-out the adaptation work. Where adaptation kits or specialist components are involved the NABD will often order these direct from the manufacturers at discounted prices and supply them to the grant applicant or directly to their chosen engineer. Where necessary the NABD can also provide grants to adapt motorcycles, scooters, motorcycle/sidecar combinations and trikes to suit the needs of pillion passengers with disabilities. The NADB have a number of 'learner legal' (125cc) motorcycles and scooters which are adapted to suit various disabilities. These machines are loaned to disabled riders free of charge (delivery/collection fee applies) for the purposes of CBT, on-road training and tests. These learner/loaner motorcycles are in frequent use and many disabled people benefit from them each year. Adapted learner/loaner machines are also made available at the NADB office in Manchester for people to try-out the adapted controls if they are unsure of the type of control adaptations that may best suit their own needs. They also have two trikes that are adapted to full hand controls, suitable for most wheelchair users, which people can try-out before having a trike built or adapted for themselves. NB. The adapted NABD trikes are not part of the learner/loaner scheme and are never loaned to anybody for any purpose other than (accompanied) assessments. The NABD offers and advice for disabled people on all aspects of motorcycling and related issues including; adaptations to mopeds, motorcycles, scooters, motorcycle/sidecar combinations, trikes and quad-cycles, insurance, licensing, trike riding, VAT exemptions for disabled riders, legal issues, rider training, adaptations to protective clothing and safety equipment; and any other issues relating to motorcycling for people with disabilities. If you are interested in their grant funding programme, Initially you will need to phone (0844 415 4849), write, or email to get a grant application form and information pack.